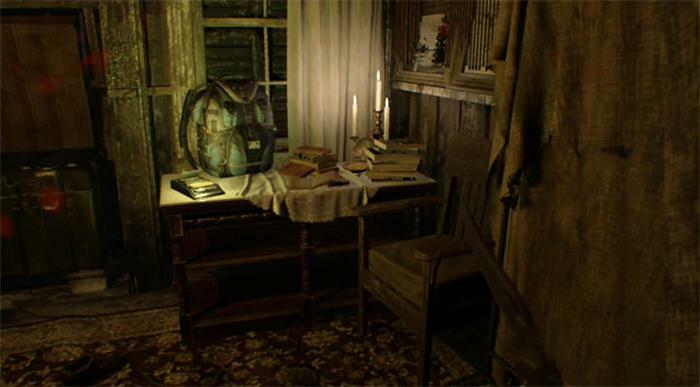 In this guide I'll cover one of the larger early puzzles in Resident Evil 7 which tasks you with finding three dog heads to open the secret door in the main hall. Each of the dog heads is hidden in a different part of the house, with some mini-puzzles and exploring required to find them. 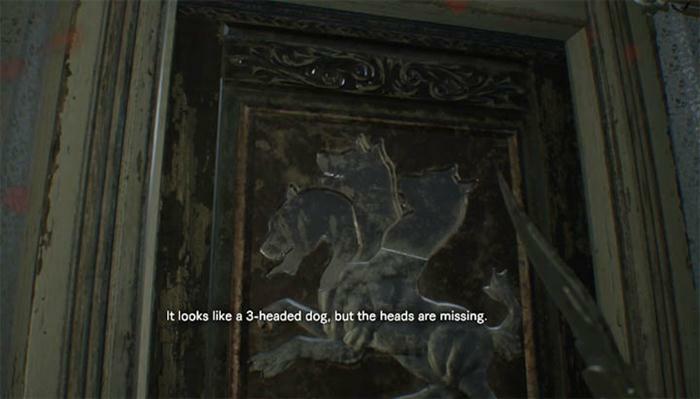 Players must find each dog head and place them individually inside the door frame. 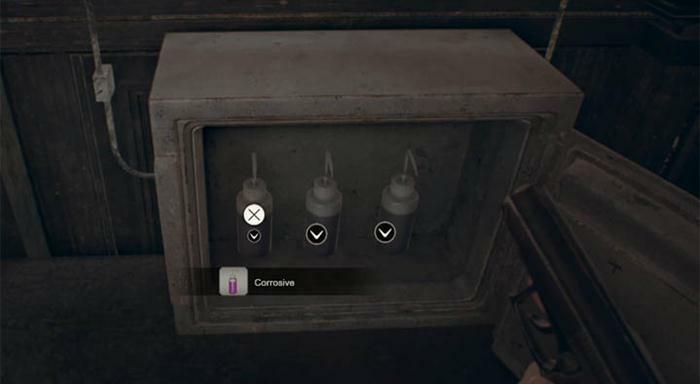 Once all three are successfully placed, the door is activated, leading to another area of the game. After escaping from Jack in the house, you will have found the Ox Statuette and made your way into the main hall. Upon entering the main hall, you have the projector room in front of you, the shotgun room to your right and the door with the three dog heads on your left. Inspecting the door shows the following message: "It looks like a 3-headed dog, but the heads are missing". The first dog head is located in the living room of the main house where the feast took place. 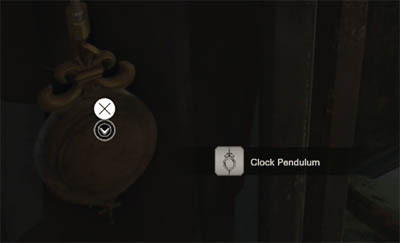 Before going there, make sure you collect the pendulum from the grandfather clock which is in the same main hall where the dog head door is. Face the dog head door, turn to your right and you'll see the clock besides the scorpion door. 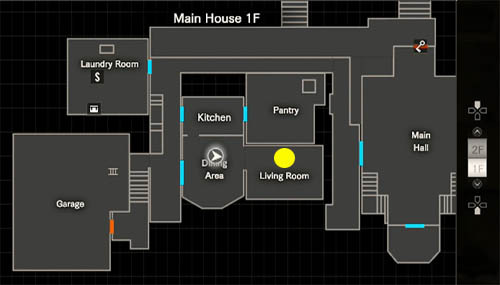 Once you have the pendulum, head back to the main house and find the living room, shown as a yellow circle on the map above. Place the pendulum inside the grandfather clock and pick up the dog head (White Dog's Head). The second dog head is located upstairs in the recreational room. Take the stairs up from the main hall, follow the route round to the left and through to the larger recreational room where the pool table is. This room also contains the Mia tape and the video player. To the left of the video tape table is a cabinet (see image above). Insect the book on this cabinet and rotate it until a little symbol/icon appears to signify that you can inspect it further. Opening the book will reveal another dogs head (Blue Dog's Head). Before venturing into the Processing Area I strongly recommend you stock up on ammo and health, and later spend some time collecting the Shotgun. To claim the dogs head you must make your way to the end of the Processing Area, in particular the morgue area. Although the dog head is hanging delicately on a rope above the morgue, this area is where a boss fight takes place against Jack - this is an epic fight and a fairly difficult one to beat. Be prepared for this one and make good use of the shotgun and the chainsaw which is on offer inside the morgue.